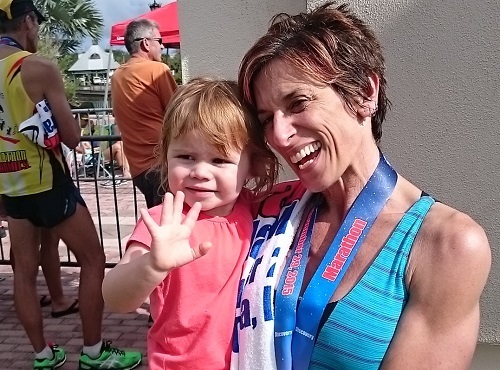 We spoke with veteran runner, Shannon Battoe, about her experience as a runner and a pace group leader for the OUC Orlando Half Marathon. She tells how a tough run ended on a good note and gives advice that anyone could use. 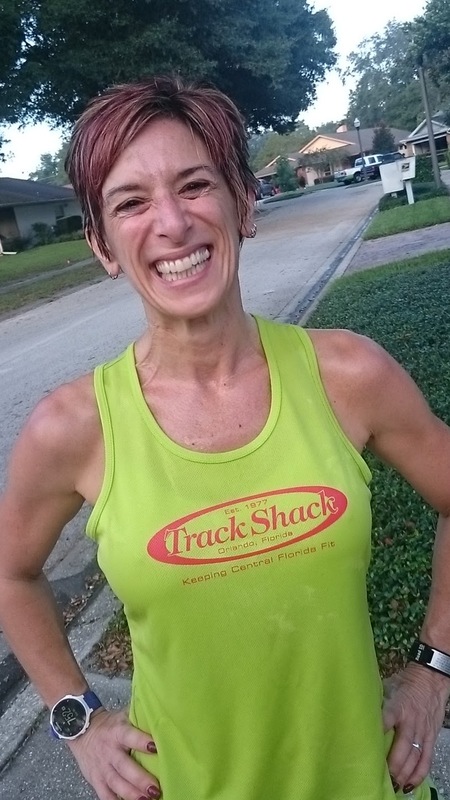 TS: How many years have you been a pacer for OUC Orlando Half Marathon? SB: This is just my 2nd year as a pace group leader but it's my 10th time doing OUC. It was my first 1/2 marathon ever and I've run it every year since, however one year I did the 5K instead as I was 38 weeks pregnant and just couldn't do the distance anymore :-). TS: What would people be surprised to learn about you? SB: I recently went 6 years without a TV in my home – and loved it. I should say my husband was not convinced though. I caved when I was home on maternity leave staring at the wall. So we bought one TV, but I don’t even turn it on. That's why I won’t get any recent TV references people make 😊. TS: I understand last year’s Orlando Half was a tough race for you as a pace group leader. Would you share with fellow runners what happened and how you dealt with it and if there was anything to learn from it? SB: I just winced...ugh...OMG - I GOT HOT!! I knew it was hitting me early, like mile 6 or 7. And, I had struggled that season with getting overheated easily so I was already thinking about it. I hadn't had a problem like that before, and I think it was hormonal, but we will just leave that there!. Thankfully I had talked a friend of mine into running with me to help me 'hold the pacing stick' and I'm glad I did because she took over for me the last couple miles. OK - guess you didn't need all that info!! TS: When did you start running? SB: I've been running since 2007. My first 1/2 was in 2008 and it was OUC :-)). My first full was in 2009. I've been a group leader for Track Shack's Marathonfest Training Program since 2010...I think. Ultimately you have to know your body and listen to it. Yes, you always push yourself in a race and exert more energy, and much of it is mentally pushing through the pain. If you have trained properly then you should know how your body responds to the miles already (that's what the training runs are for). However, you have to know that you cannot "push through being overheated", you have to stop and let your core cool down or you run the risk of serious dehydration and/or injury That is exactly what I did before it was too late. I handed the pacing stick to my friend (who already could tell I was getting hot), I let her move on with the pack and I walked a bit to cool down. When I felt better I ran shorter intervals until my next walk. I wasn't happy about it letting the heat get to me (hello....I am a native Floridian...oh the disgrace!! ), but I did something about it before I couldn't move forward anymore. So, I finished a little more than two and half minutes later than expected - but I finished and didn't wind up in a medical tent. Florida weather is so unpredictable and everyone deals with heat differently. Sometimes you do everything right but your body just says "not today". TS: Anything else to add? SB: Put the time in to train, follow a schedule to keep you focused and listen to your body. Think about your goal for this event - let it motivate you, and use the other runners around you as inspiration (the running community is amazing). - Be prepared for Florida’s unpredictable weather and always keep yourself fueled and hydrated. - Show up to the event ready to run but also have fun, smile with others, talk to people and take in the environment. - Thank those volunteers along the way, wave to the cheering fans, and smile at the photographers. Remember, this is a life experience so appreciate every step of it!